• Reduced size of tabs and added tab size preference. To put the tab height back to how it was, select the large tab size in preferences. • Fixed problem replacing files in Dropbox. • Fixed problem accessing SMB servers belonging to a domain. • A few other performance improvements and fixes. 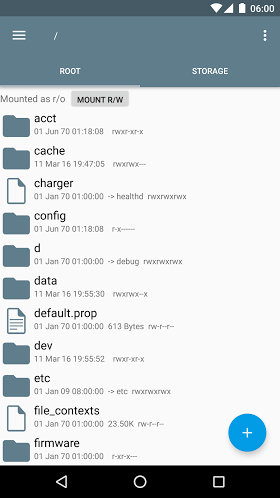 tempohari.com — Root Explorer is the ultimate file manager for root users. 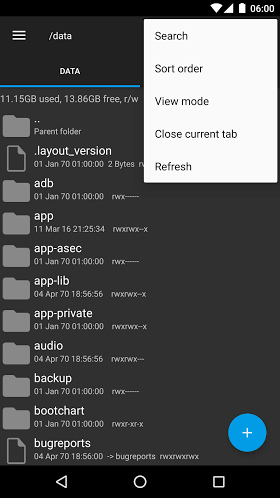 Access the whole of android’s file system (including the elusive data folder! ).